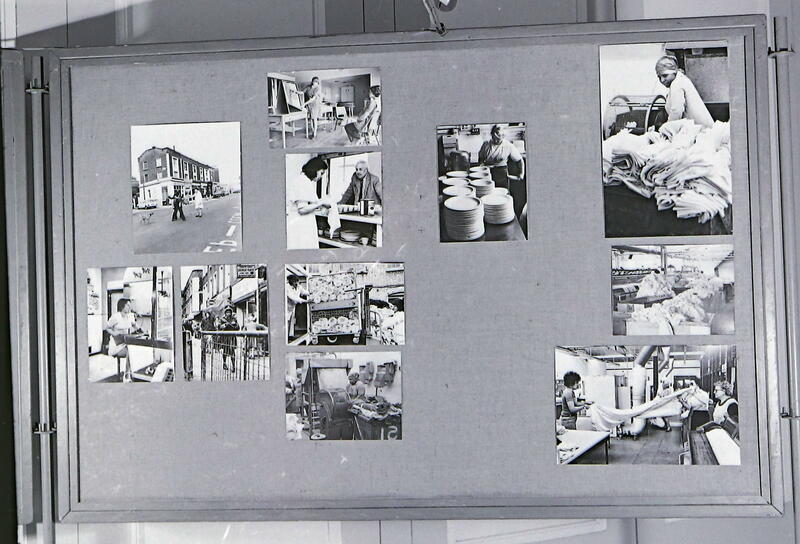 The first project by the Hackney Flashers was ‘Women and Work’. 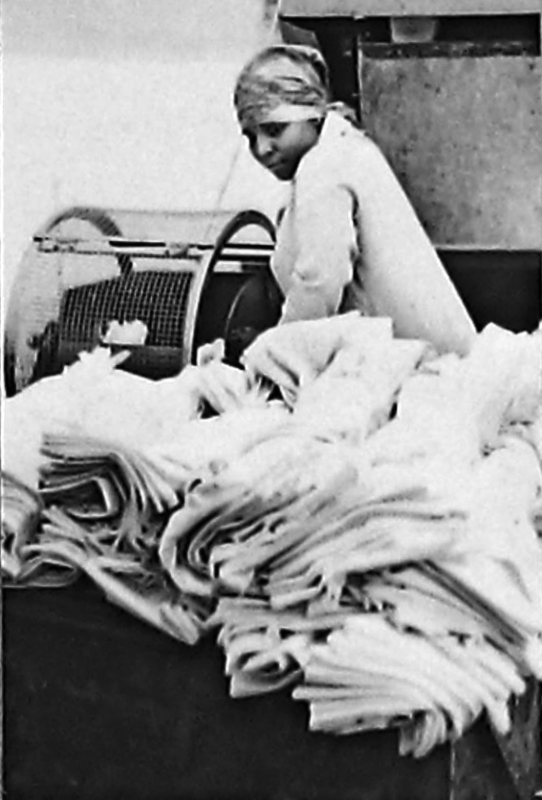 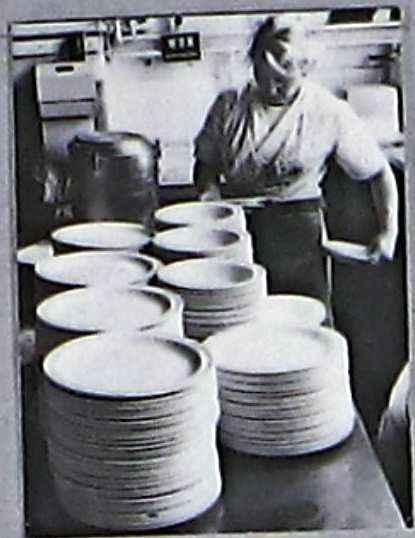 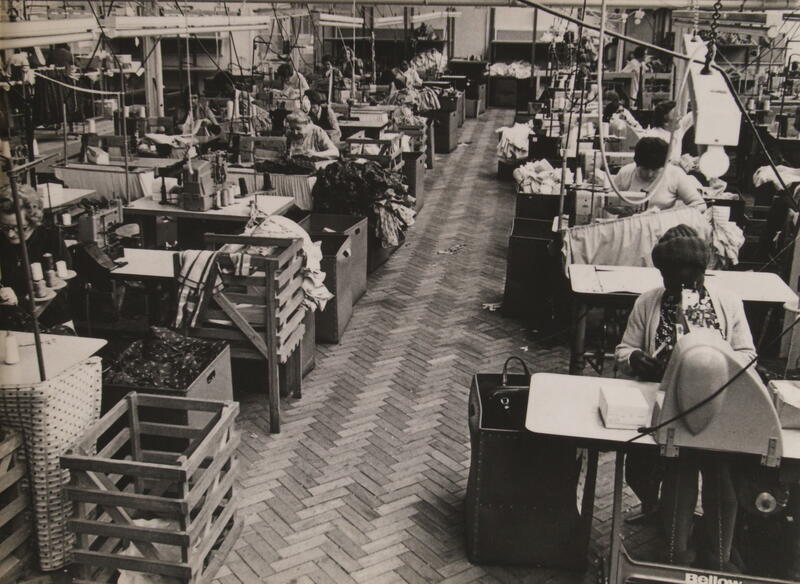 The group set out to record with photography the working conditions of women in Hackney across a wide range of occupations, from manufacturing to clerical work. 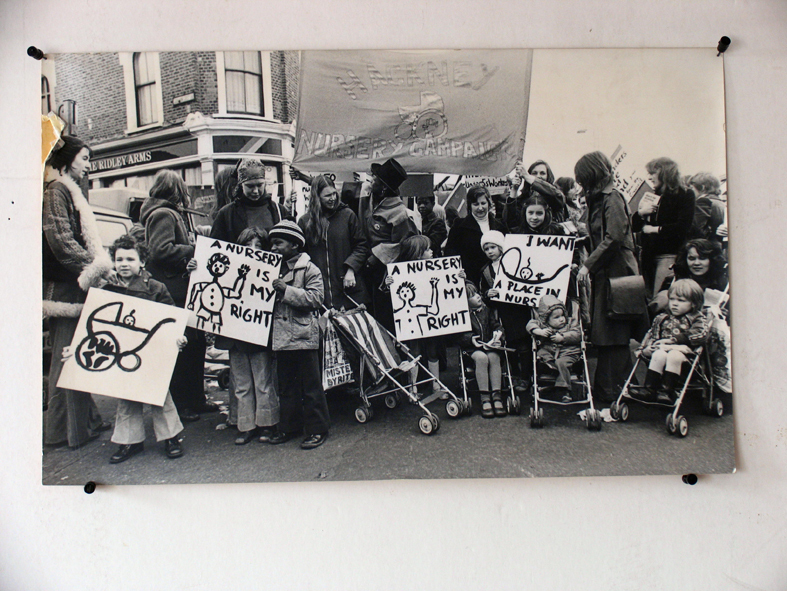 The project was initially made to be part of an exhibition celebrating 75 years of the Hackney Trades Council. 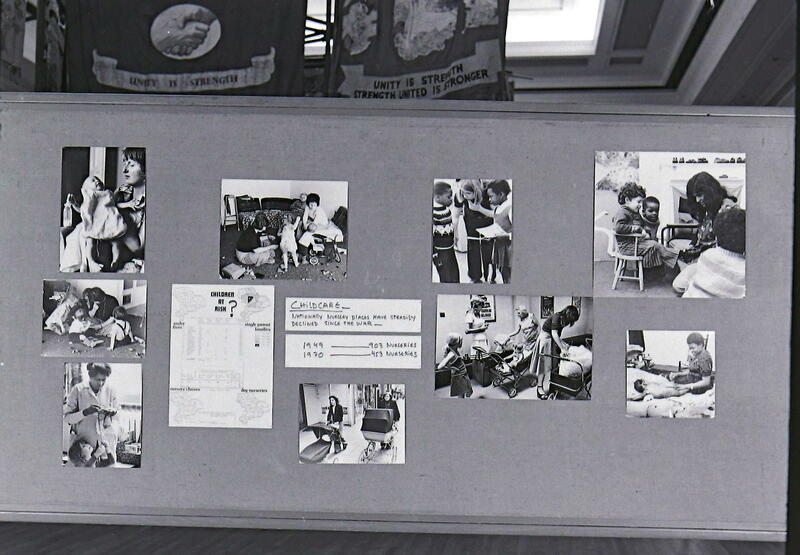 During the anniversary event the work was exhibited in Hackney Town Hall alongside a collection of banners and other trade union memorabilia. 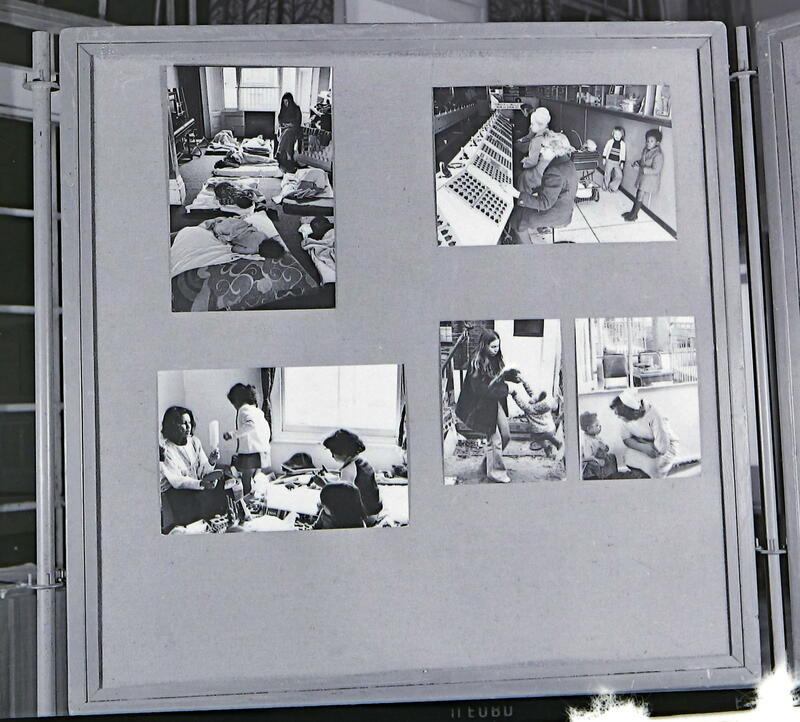 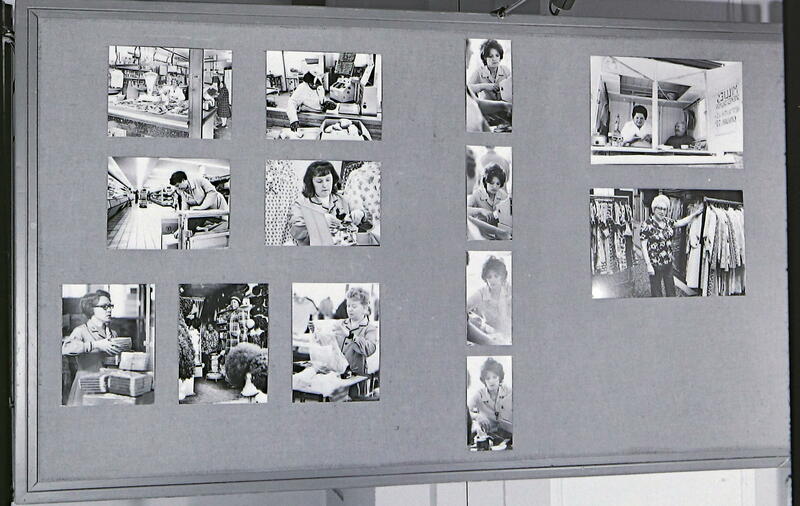 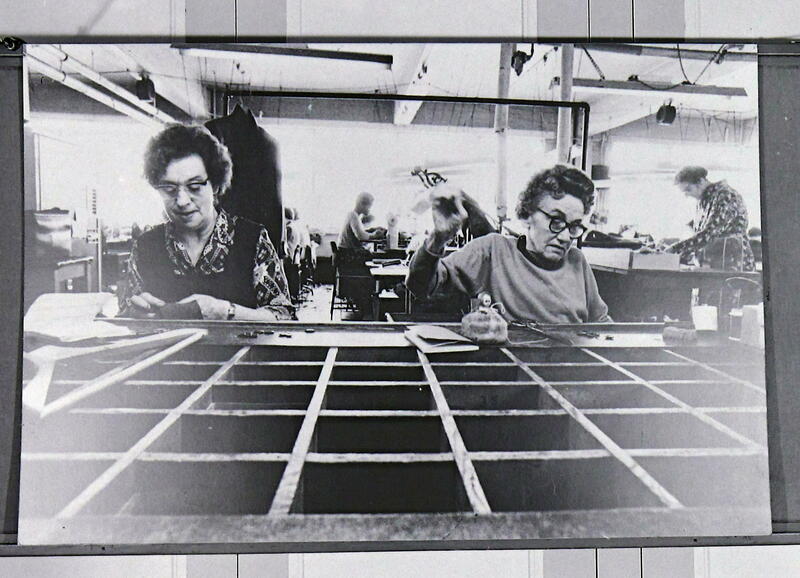 The project included over 250 photographs mounted on panels with text and statistics about women and work. 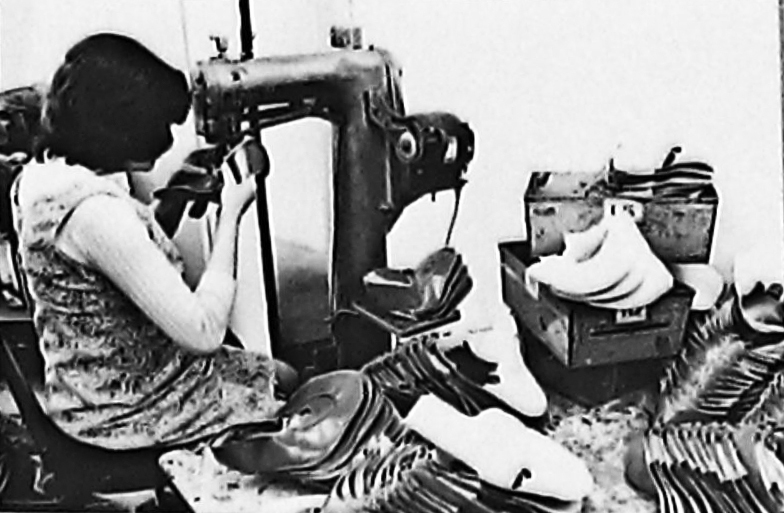 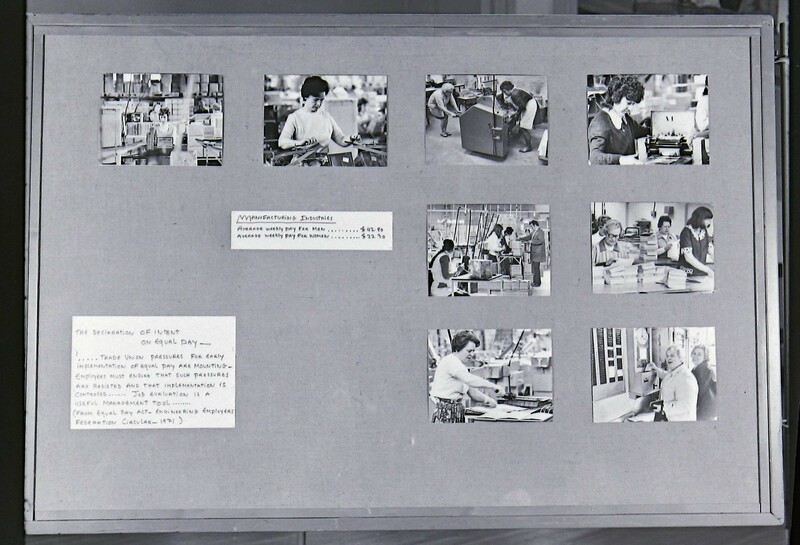 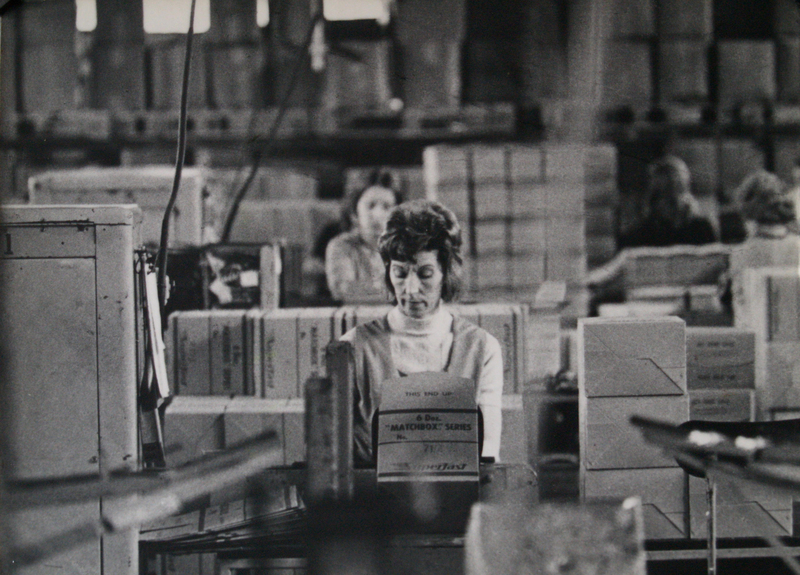 The image above shows women working in the Matchbox toy factory in Hackney. 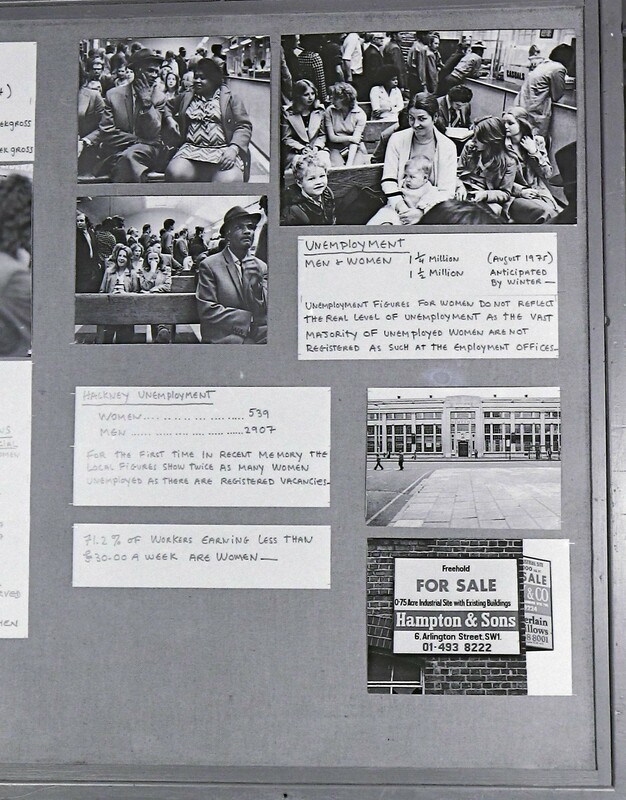 The original panels have been lost but individual photographs from the project and photographs of the panels taken at the Hackney Town Hall exhibition have survived. 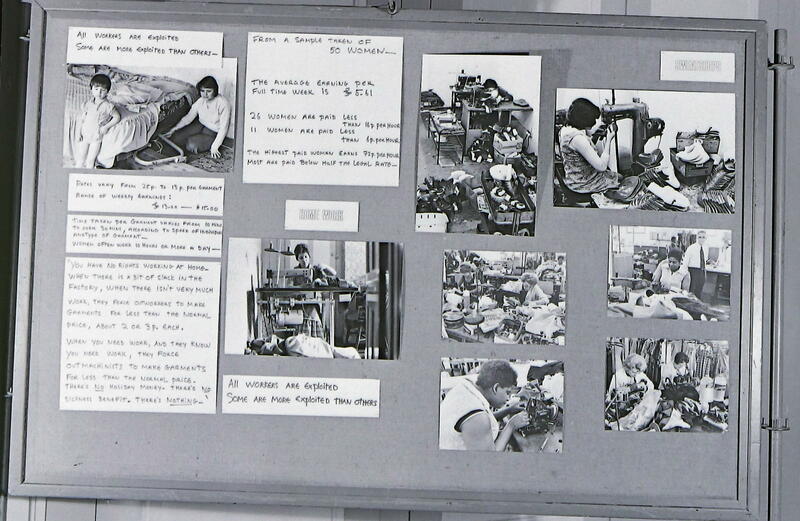 Text on the panel above reads “All workers are exploited, some are more exploited than others”. 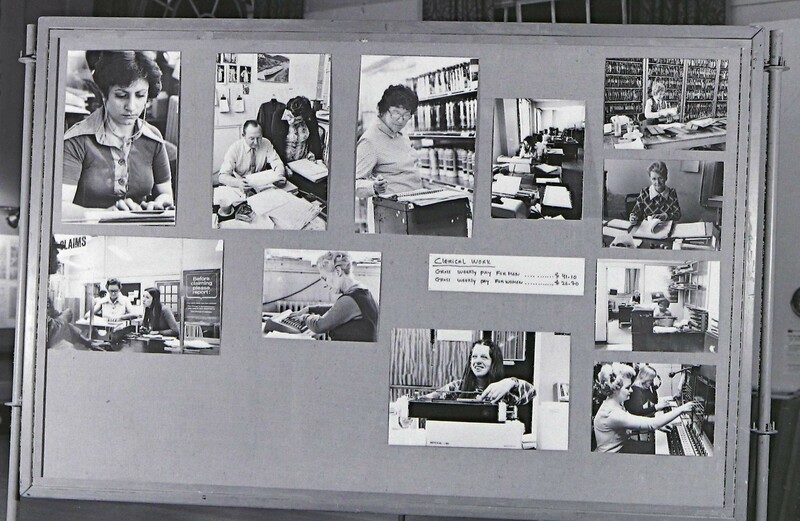 In some of the images of the panels shown here the banners from the exhibition can be seen in the background. 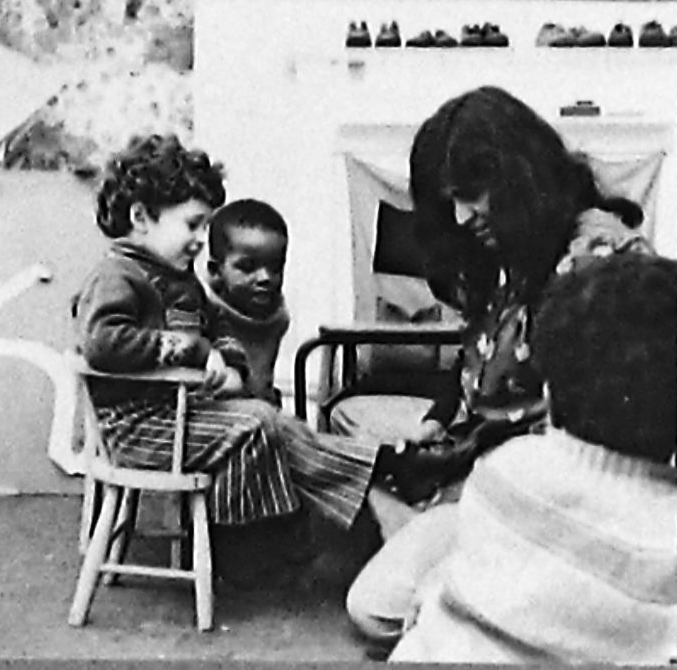 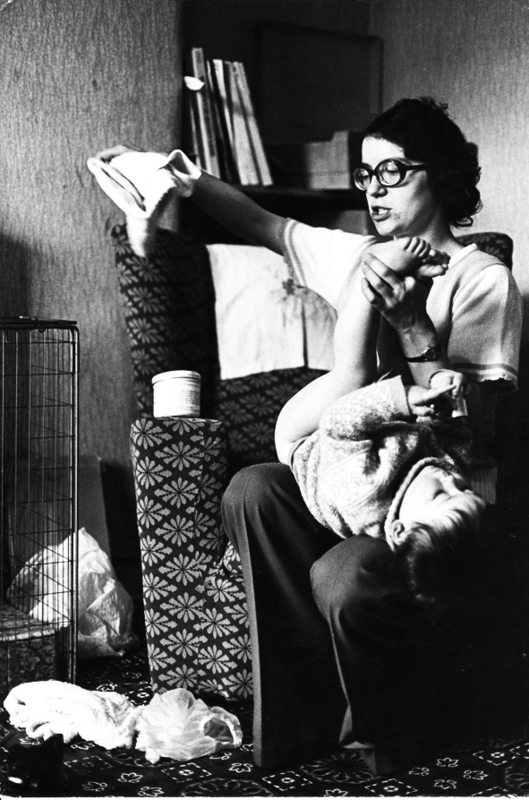 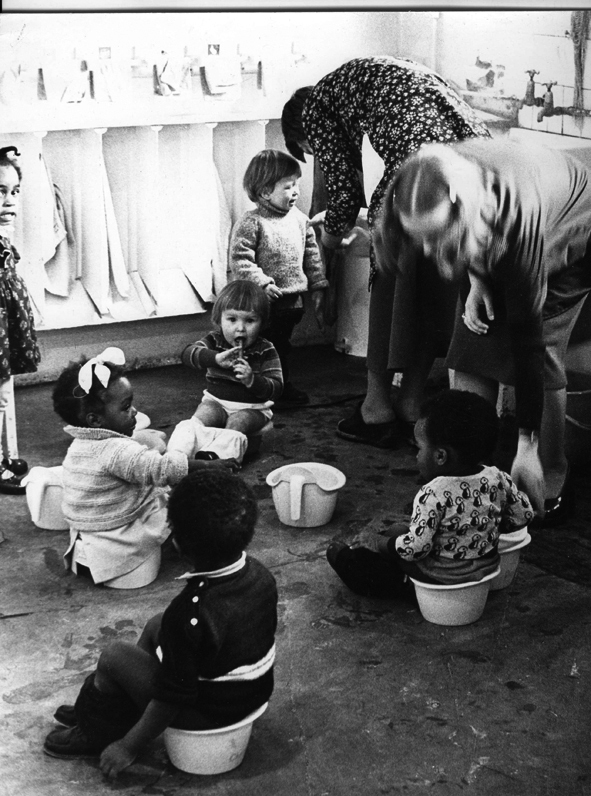 Images of childcare were part of the project and the gap between the need for childcare and actual provision informed the future work of the group. 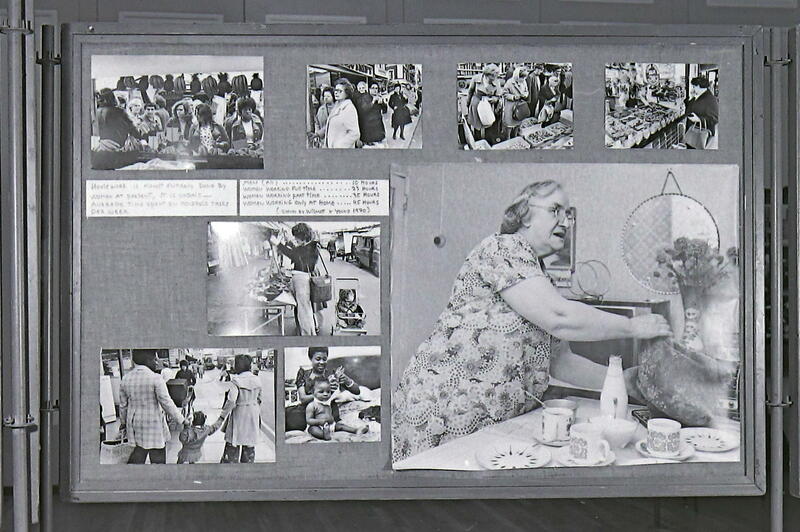 This panel includes an image of a woman working as a cleaner at a college and text from the Hackney Trades Council’s Working Women’s Charter. 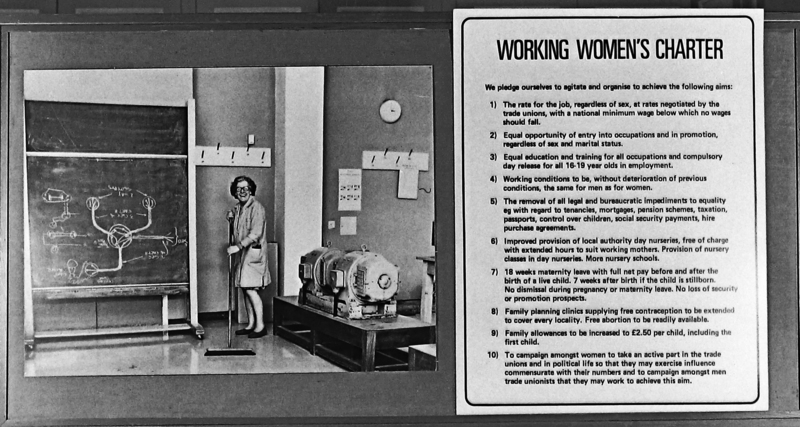 The project included panels on women’s campaigns for contraception and abortion, women’s unpaid work in the home and how unemployment effected women. 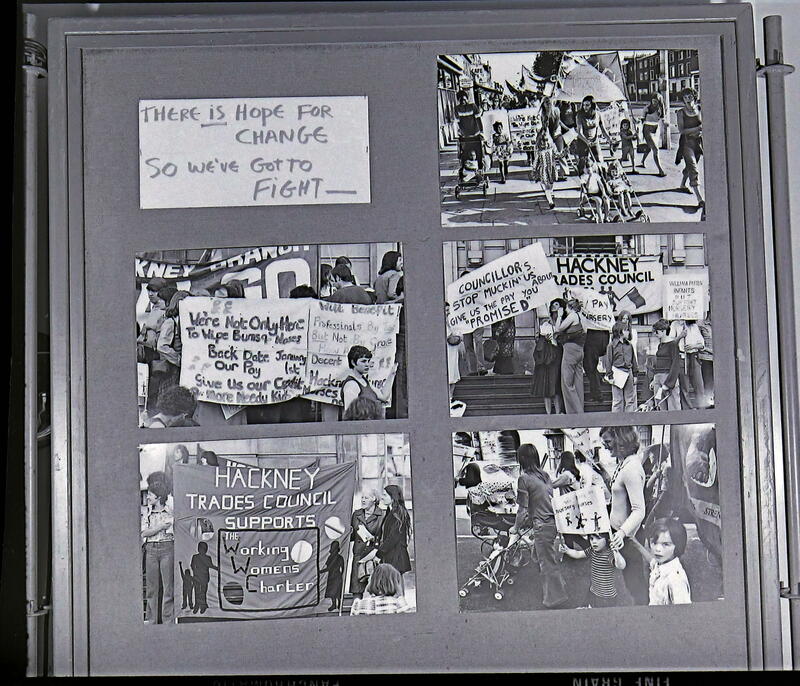 During work on the project the group were surprised to find out that Hackney Trades Council had decided to call the anniversary event 75 Years of Brotherhood! 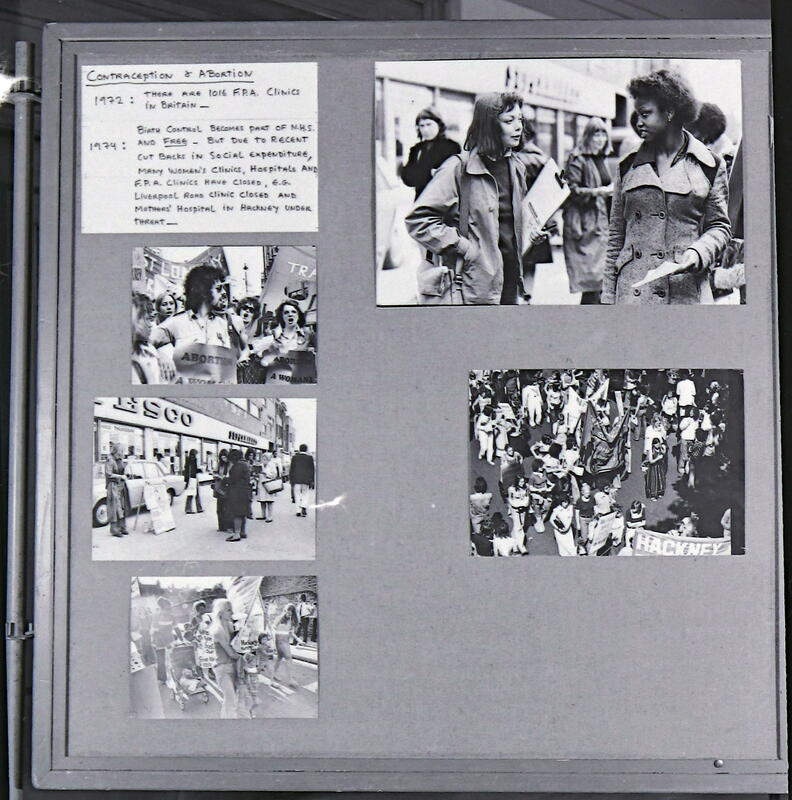 After the Trades Council event the group toured the ‘Women and Work’ project and exhibited it in community venues. 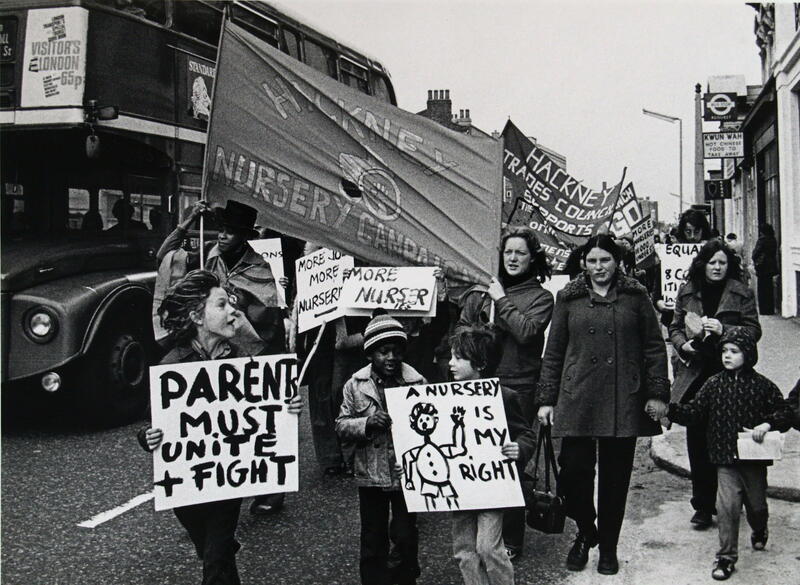 The lack of childcare that they had noticed while making ‘Women and Work’ influenced them to begin their major project on the issue of childcare: ‘Who’s Holding the Baby?’.